The Nigerian Army on Saturday debunked reports alleging the abduction of some passengers by Boko Haram insurgents on Damaturu-Biu Road in Yobe. 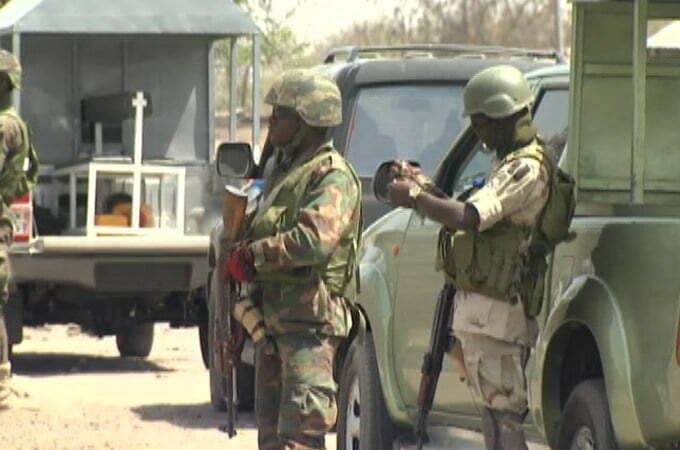 Lt. Njoka Irabor, Acting Assistant Director, Army Public Relations, Sector 2, Operation LAFIYA DOLE, gave the clarification in a statement in Maiduguri, NAN reports. Report has indicated that insurgents had on Friday abducted some passengers travelling on the 120-kilometre Damaturu-Biu Road. However, Irabor dismissed the report as false, stressing that no such incident occurred on the road. He said â€œThe attention of Headquarters Sector 2, Operation LAFIYA DOLE, has been drawn to the circulation of fake news trending on website and social media platforms. â€œAlleging that suspected Boko Haram terrorists abducted unspecified passengers plying Biu-Damaturu Road yesterday. â€œThis is not true; there is no such an incident in the North East, let alone on the mentioned road. â€œWhat the media misconstrued is that, as part of our routine measures to curb the criminal activities of Boko Haram terrorists, and ensure safety of all residents and road users, troops carry out routine patrols, checks and ambushes. â€œThis necessitated the temporary closure of the road. What happened in morning of February 1, 2019; is that there was a report of suspected movement of Boko Haram terrorists and the troop swang into action. â€œIn order to avoid likely collateral damages, the troop temporarily halted vehicular movement; however, the road was immediately reopened after the routine military check,â€ he said.